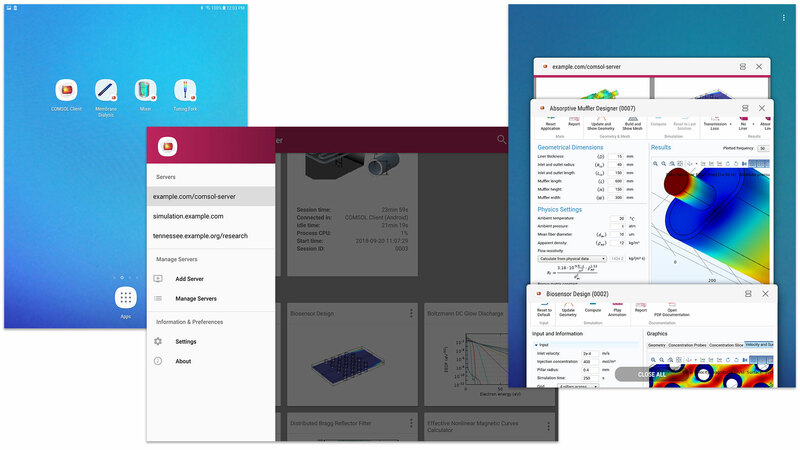 For users of the COMSOL Server™ product, version 5.4 of the COMSOL® software brings COMSOL Client for the Android™ platform and several COMSOL Server™ user interface updates. Read more about these and other COMSOL Server™ updates here. 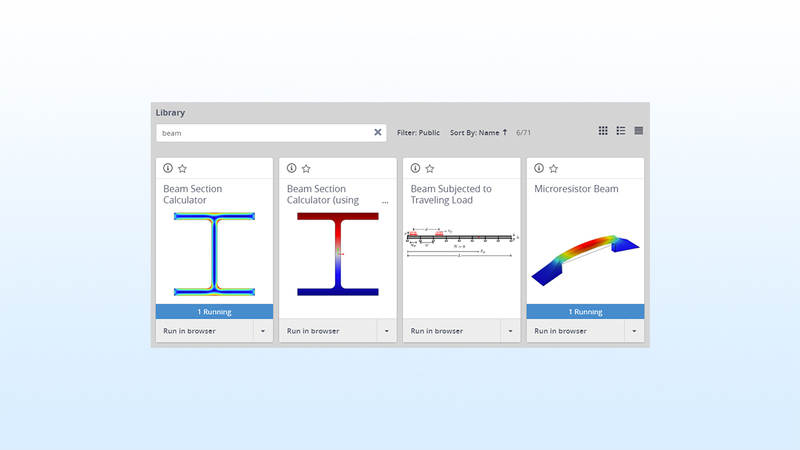 With the COMSOL Client app for the Android™ platform, mobile users can easily connect to COMSOL Server™ and run applications. Shortcuts to applications can be added to the device homescreen for easy access. Running on an Android™ platform device, applications appear as tasks. COMSOL Client for the Android™ platform will be made available in the Google Play™ store within a few weeks. From left to right: shortcut icons on the tablet screen, the COMSOL Client interface for the Android™ platform, and multiple applications being run on the tablet. From left to right: shortcut icons on the tablet screen, the COMSOL Client interface for the Android™ platform, and multiple applications being run on the tablet. 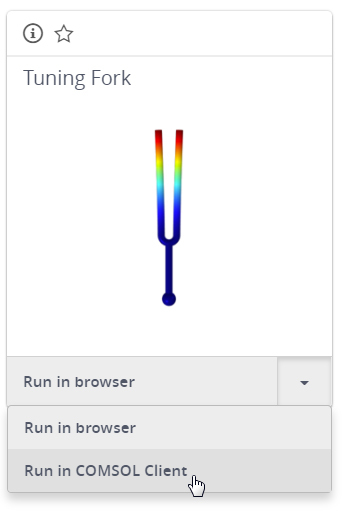 Anonymous and automatically logged-in users can now launch COMSOL Client from a web browser, with the Run in COMSOL Client links. A live search for "beam" shows all applications with titles containing "beam". A live search for "beam" shows all applications with titles containing "beam". for an application that has an input argument freq that takes a numeric value 400 (a double, in this case). 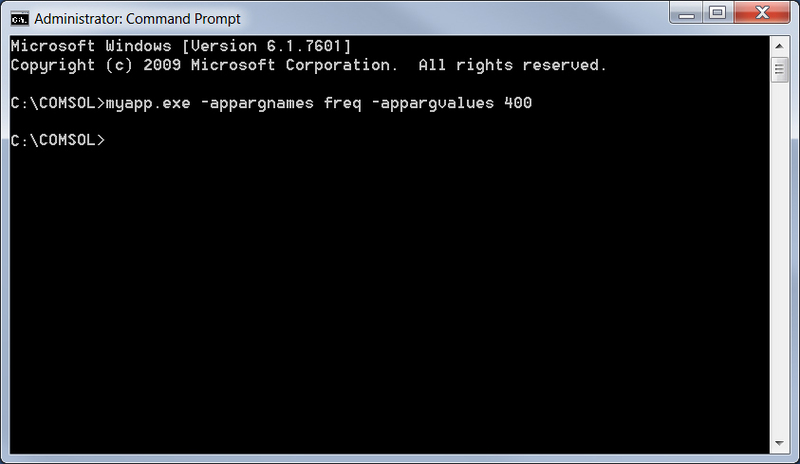 The target frequency supplied as input to a compiled version of the application. 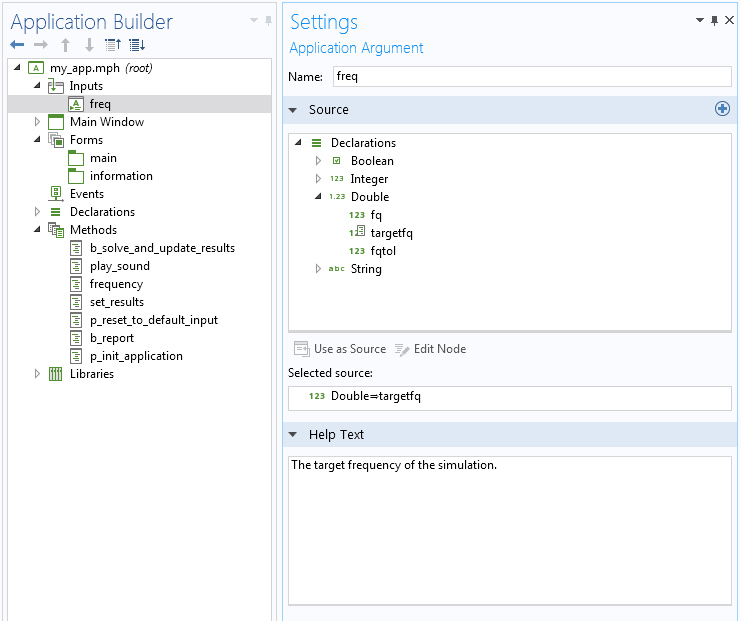 The target frequency supplied as input to a compiled version of the application. Android and Google Play are trademarks of Google Inc. Microsoft and Windows are either registered trademarks or trademarks of Microsoft Corporation in the United States and/or other countries.